If you can freeze time to savour your youth or what’s left of your supple, smooth and wrinkle-free skin, wouldn’t you? You all probably know by now how I’m making up for my shortcomings when it comes to skin care. Now that I’m in my 30s, I’m trying every product possible so when I get older, I age gracefully. Hihi. So my quest to add more products to my skin care arsenal continues and recently, I found three new faves to combat aging. 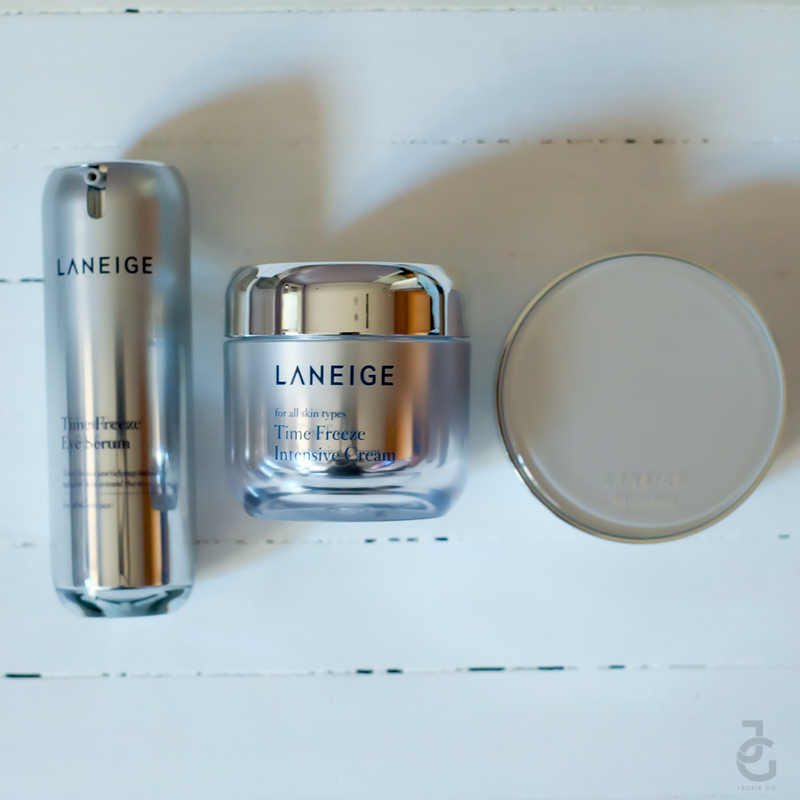 Laneige Time Freeze Eye Serum, Intensive Cream and BB Cushion Anti-Aging. Turn back the clock on your skin with LANEIGE total anti-aging collection, Time Freeze which works to correct the 5 key signs of ageing by rejuvenating skin collagen through exclusive Dynamic Collagen_EX technology. Say goodbye to loss of elasticity, fine wrinkles, skin dryness, rough skin texture and dull skin tone as Time Freeze helps you to recreate a firmer V- shaped and younger-looking face in 6 weeks. Having dark circles and fluffy eye bags make having more eye creams a good excuse for addiction. 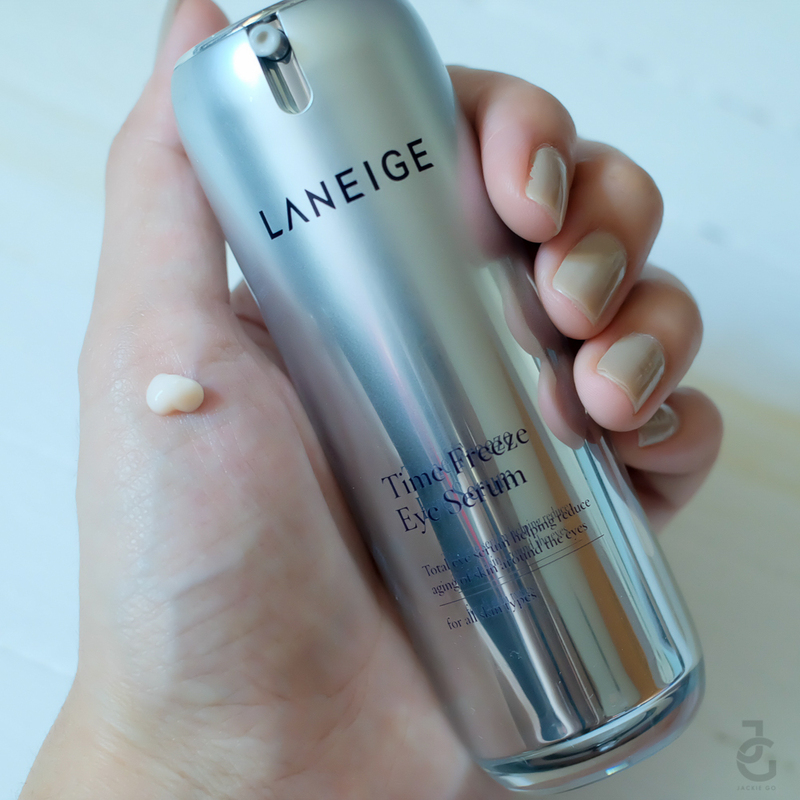 There are some eye serums that are really better than the others and I have to say Laneige’s Time Freeze Eye Serum is one of them. Time Freeze Eye Serum is an anti-aging serum that targets and rectifies 7 key eye contour aging concerns such as crow’s feet, drooping eyes and dark circles which are instant giveaways to one’s age. My dark circles are result of incessant rubbing and scratching (thank you very much allergic rhinitis for this). So I was excited to try this because the claim that it’ll lessen the appearance of dark circles on my eyes (with continued use for at least 6 weeks) is promising. The thing I like most about Time Freeze Eye Serum is how light & velvety it feels especially when I appliesd. I am used to thick eye creams and I feel like the thicker it is, the more effective it will be. Obviously, this isn’t always the case. I’m on my third week of use and so far, I’m loving the effect of it on me – fine lines are less obvious, perhaps because it’s more moisturised than before. Time Freeze Intensive Cream is an anti-aging moisturizer that targets to improve visible signs of skin aging by increasing the density of collagen in the skin. Not only does it help to increase skin firmness and moisture, it also helps improve skin texture and reduce wrinkles for soft and resilient skin. Like the Time Freeze Eye Serum, Time Freeze Intensive Cream has a light and velvety feel which is one of the things I look forward to when it comes to any skin care product. Living in a tropical country, piling on layers of skin care products on your face isn’t really appealing. Nor would it entice skin care newbies to start a regimen now wouldn’t it? 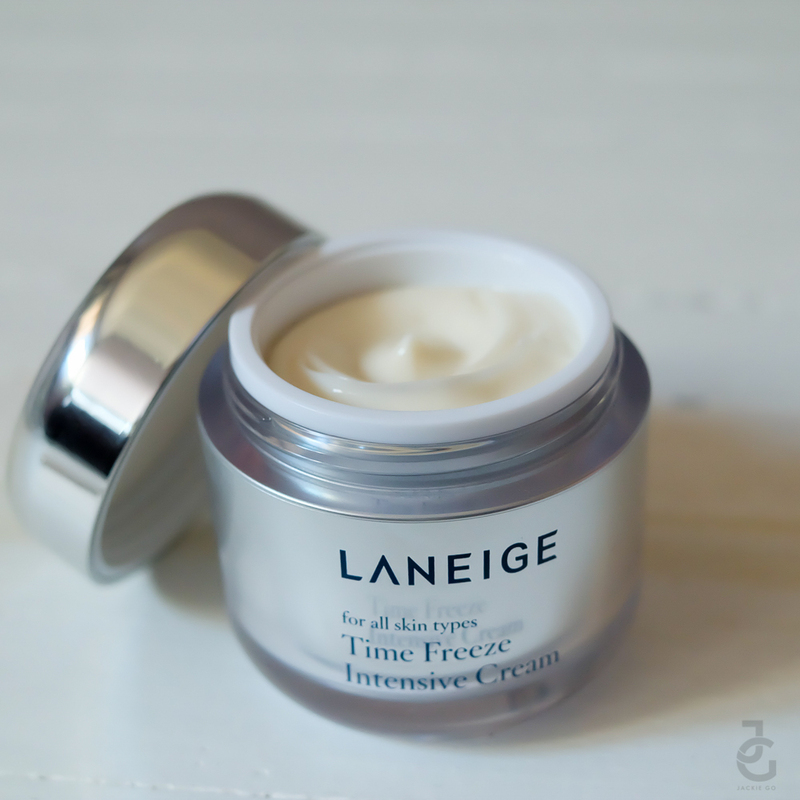 Thankfully, Laneige Time Freeze Intensive Cream is light and airy on my skin. It’s something I would wear even during summer and I can even pile on moisturizer or BB cream afterwards without feeling too overwhelmed brought about by heavy skin care coverage. About 4 pea-sized cream is all you need to cover your entire face. Make it 5 so you can include your décolletage because really, who would want wrinkles in that area? Hihi. 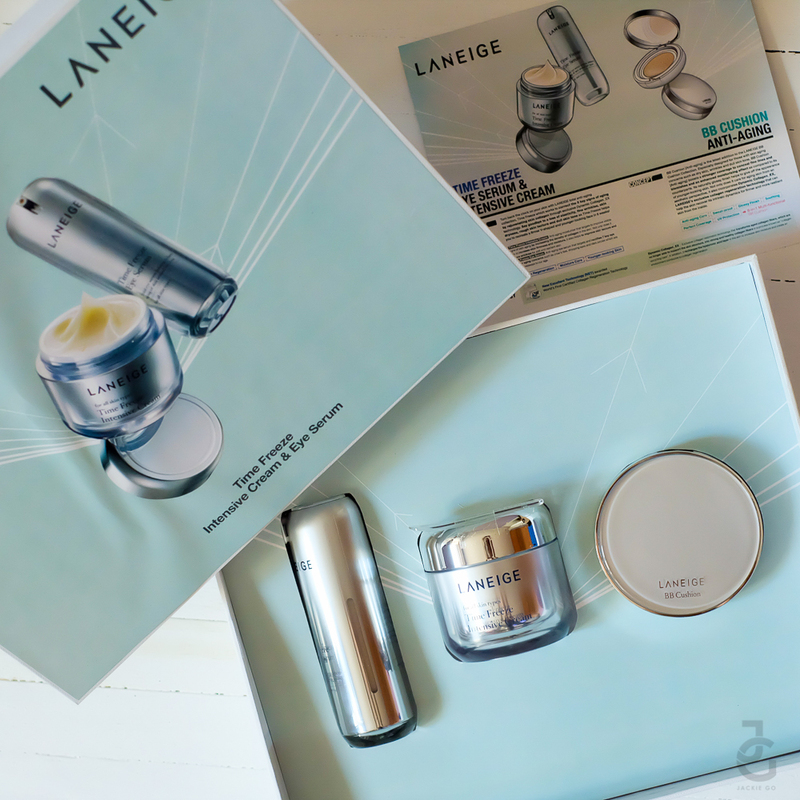 BB Cushion Anti-aging is the latest addition to the LANEIGE BB Cushion Collection. Especially designed for those with skin aging concerns such as dry skin, wrinkles, and dull skin tone, BB Cushion Anti-aging boosts a stronger coverage to conceal fine lines and blemishes and an enhanced moisturizing effect as compared to its counterparts. Its naturally glossy finish helps to give off the appearance of younger-looking skin. Not only does it care for aging skin from an aesthetic perspective, it also incorporates Dynamic Collagen_EX*, Laneige’s exclusive collagen regeneration technology that can help the skin recover its intrinsic dynamics for firmer and more resilient skin from the inside. 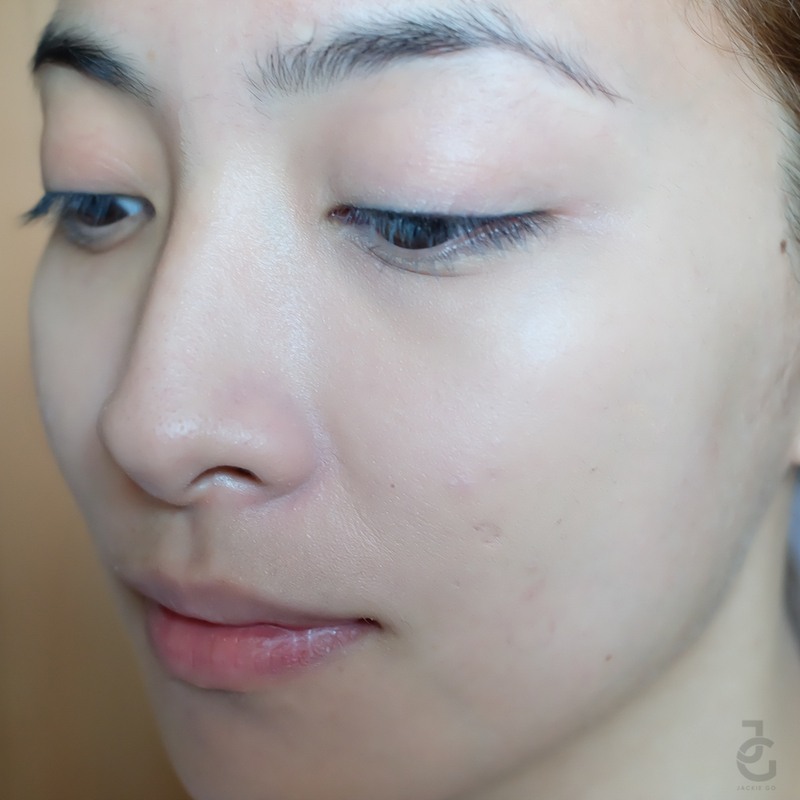 Immediately, I tested the BB Cushion Anti-Aging to see how it will fair on me. BEFORE. Dark circle under my eye plus a few redness on certain areas, particularly on my nose. A few dabs of Laneige BB Cushion Anti-aging. I just pressed half of the sponge included in the compact and pat it under my eyes. Thankfully there’s a shade for our Filipina skin – SAND BEIGE. It is the perfect shade for my skin tone. AFTER. See how greatly my skin improved? What discolouration, what dark under eyes?! Hi smooth and glowing skin! Winnnnnneeeeer! I’m not a fan of BBs mainly because I haven’t found the one that works well for me. 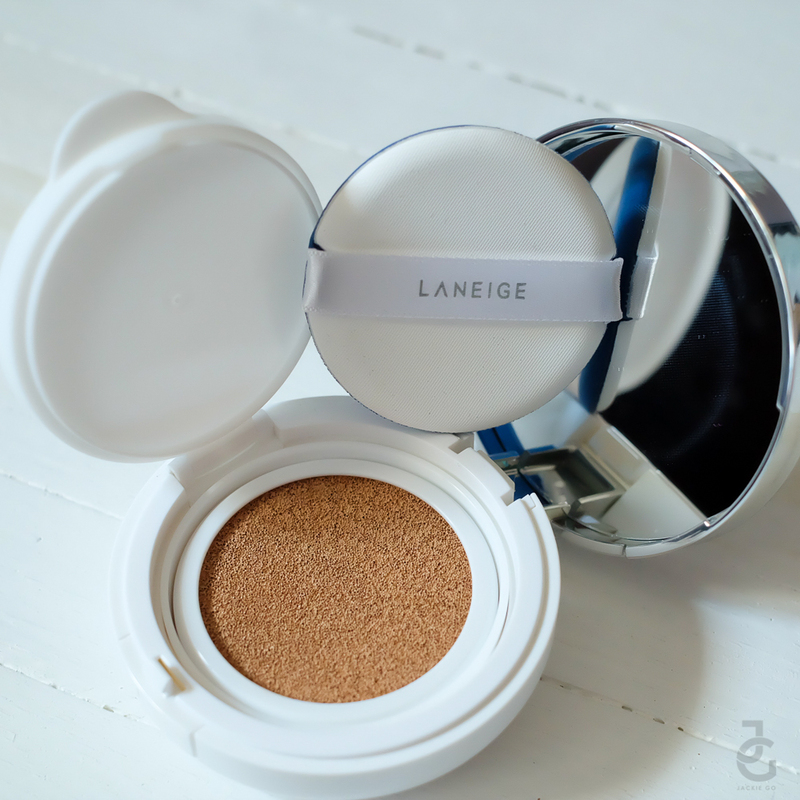 So allow me to rave on how nice Laneige BB Cushion Anti-aging is! It gives an anti-aging care & perfect coverage with a glossy finish. It also provides UV protection & soothing effects on one’s skin. Did I mention it’s also sweat proof? Yes! I’ve been wearing the BB Cushion Anti-aging since I discovered it a few weeks back and so far, my skin has loved the effect it gives. So much love for this product that I already bought a refill. You know, just in case I run out. Heehee. Time Freeze Eye Serum & Intensive Cream and BB Cushion Anti-aging are available at all Laneige boutiques: SM Megamall, SM Aura, TriNoma, Mall of Asia, Robinsons Manila, Robinsons Galleria and Robinsons Magnolia. *Dynamic Collage_EX: Exclusive collagen restoration technology that transforms aged collagen fibers, which are no longer able to support the skin structure, into strong and healthy collagen fivers in a process known as “collagen upcycling care”. In addition, it recharges the hyaluronic acid layer in the skin to increase skin moisture and create an environment conducive to collagen regeneration.